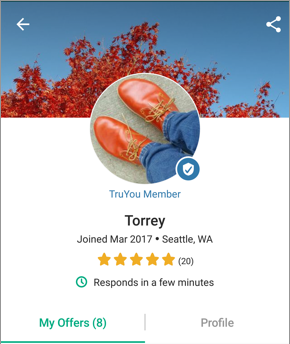 Other people can see items you’re selling by looking at your profile. Open one of your items, tap on your name, then tap My Offers. 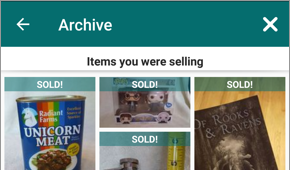 To see your items in search results, tap Home and enter search terms for your item. Good search terms are words from the item’s title or description. If you’ve just posted or edited the item, please note it can take a little while for items to show up again in search results.